In cooperation with Radio Besiktas and Turkish official fan site “Turkish Boice”, The World-Famous South Korean Music Group CNBLUE’s songs are Monday and Friday in Radio Besiktas. Radio Besiktas and Turkish Boice are performing a first in Turkey. Having a large fans In Asia, Europe and US, CNBLUE’s songs are on air in Radio Besiktas. In Turkey and from all over the world Radio Besiktas can be listened from www.besiktasradyosu.com and www.besiktas.com.tr web pages. We'll listen to CNBLUE's songs in Radio Beşiktaş! 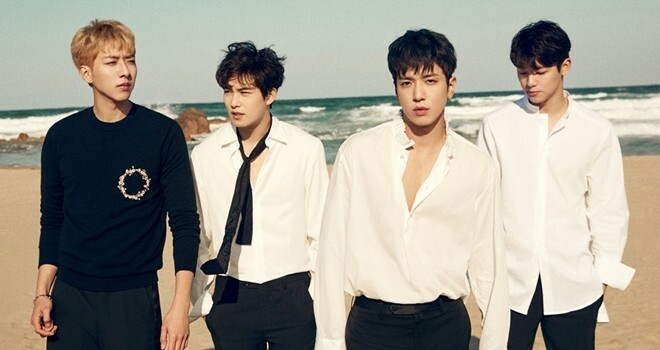 Founded under the name of FNC ENTERTAINMENT, CNBLUE which consists of 4 members: Jung YongHwa, Lee JongHyun, Kang MinHyuk and Lee JungShin debuted in South Korea in 2009. The name of the K-pop band CNBLUE is an abbreviation of CN Code Name and BLUE. Blue, consists of the initials of the profile names represented by each member. CNBLUE Rock and Pop music has made many succesful projects. Besides being succesful musicians, each of the group members are also an actor. Born on June 22,1989 Seoul, Jung Yong-hwa is a musician, singer, songwrites and actor. The group’s leader Jung Yong-Hwa is the main vocalist, guitarist and songwriter. and E representing Jung Yong-hwa Emotional. He also starred in series of TV Shows including You're Beautiful, Heartstrings, The Three Musketeers, Marry Him If You Dare. Born in 15 May 1990, Busan, Lee Jong Hyun is the guitarist and vocal of CNBLUE. B letter of BLUE, represents Burning. He starred in A Gentleman's Dignity, My Only Love Song, Girls's Generation 1979, Orange Marmalade, Evergreen TV shows. Born on September 15,1991 in Ilsan-gu Goyang is the band’s bass player and singer. The meaning of the letter U representing Lee Jung-Shin is Untouchable. He starred in TV Shows  My First Love, My Sassy Girl, Cinderella and Four Knights, Temptation, Blade and Petal, and My Daughter Seo Young. The name of the Official Turkey fan club BOICE was formed. In many parts of the World BOICE is the name of the largest fan clubs in Turkey which closely follow the upcoming events and the band’s developments about CNBlue. Latest developments of CNBlue on Turkish groups enabling the fans to be aware of the many upcoming events and activities in Turkey. The most popular music videos are in Besiktas Media Group Web TV!